It’s easy to see why so many people believe there just might be real magic here. Looking up at the ancient stone and earth mounds on these green hills dotted by standing stones, I can imagine the solstice sun lighting its mysterious path into the cairn. And entertain the legends of the fairy folk and druids that still have believers who flock here on the longest and shortest days of the year to celebrate ancient rites. 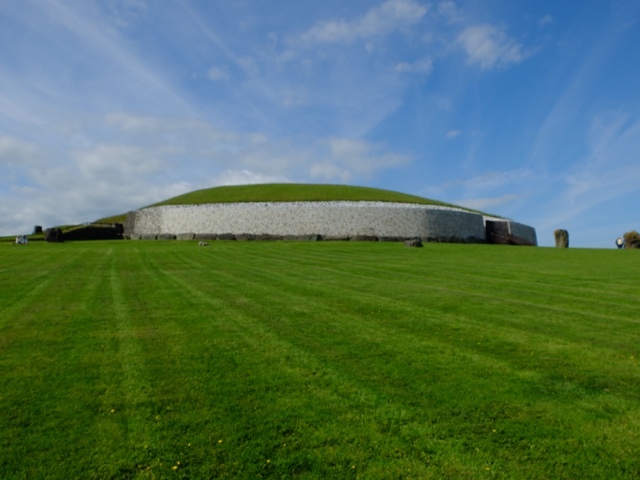 The standing stones and prehistoric cairns and ring forts that cover these green hills of County Meath, north of Dublin, have inspired generations of stories and myths and magic. 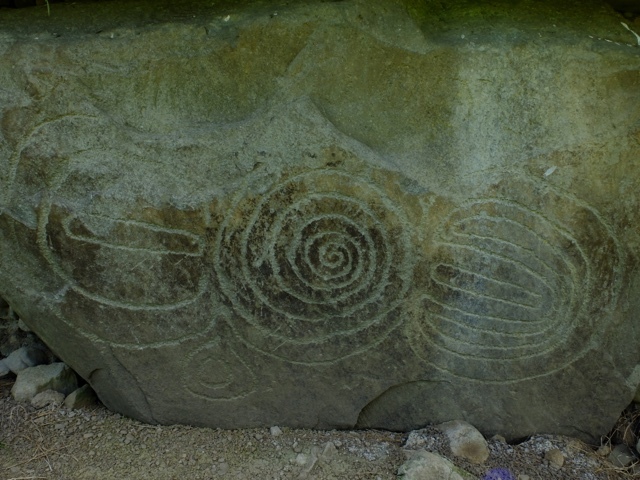 As we visit the stones and the funeral mounds of the ancients at Bru na Boinne, some of the best preserved stone age sites in the world, the mystery is explained away somewhat, though no-one really knows why these stone rings and tombs are here. They are 5000 years old, older than the pyramids, and you can still see the geometric carvings on the massive stones that were brought in to make the base stones of the walls and the standing stones outside. 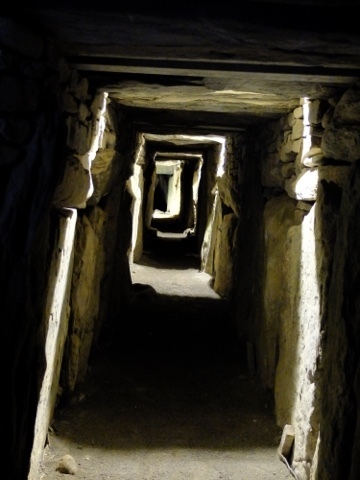 The neolithic people built these rings and monuments to track the sunlight on the shortest and longest day was a way to mark the seasons … perhaps to try and control and predict the uncontrollable, the coming of spring and the end of winter. Perhaps because even today we dread winter darkness and crave the rejuvenation of spring, and the ancient people believed life-bringing spring needed the help of rituals and rites to make sure it arrived. But those ancient mysteries are woven into the tales of ancient history. This is the land where heroic tales of Brian Boru and Queen Maeve and Cuculain have been retold for centuries. The hill of Tara, now a green park with the bumps and ridges of ancient walls and mounds remaining to feed our imagination, was the seat of power of ancient Irish High kings. And just roaming these hills makes the imagination roam free … we want to believe the legends and stories that may have happened here. And even today, Ireland inspires romance and dreams. It has captured the imagination of writers and storytellers for centuries. It has inspired writers – from James Joyce and Oliver Wilde to the modern genre writers who tell romantic tales of ancient heroes and magical druids and marauding vikings and impossible quests. And, in America, where many of us can trace some ancestry back to Ireland, we flock to all things Irish, perhaps craving a romantic homeland that seems lacking in our new-world home. The reality is that Ireland has struggled – centuries of war and internal strife and famine and poverty. But somehow the mystery and magic continues. It starts from the ancient stories and continues in our own need to believe that this country is just a little magical. We want to believe. And that is what will always make this place peak our interest and stir our imagination.